Whether you ever had issues tripping on your iDevice cables, getting lost, losing track of your workout, or printing things, Apple has something in the works for you, according to a new round of patents unveiled by Patently Apple. 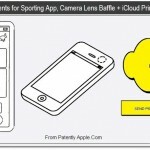 The next interesting patent mentioned up by the patent-focused site, is a sort of sports app that looks a lot like what iOS already offers with Nike + integration. It seems to go further, however, as on top of dealing with your music, it will allow you to compile an entire workout from your computer just like a playlist and match it with music. It's not clear to what extent the device will control what you're doing using its built-in sensors, but it will remind you of all the goals you set for yourself. Minor, but might prove to be very useful. 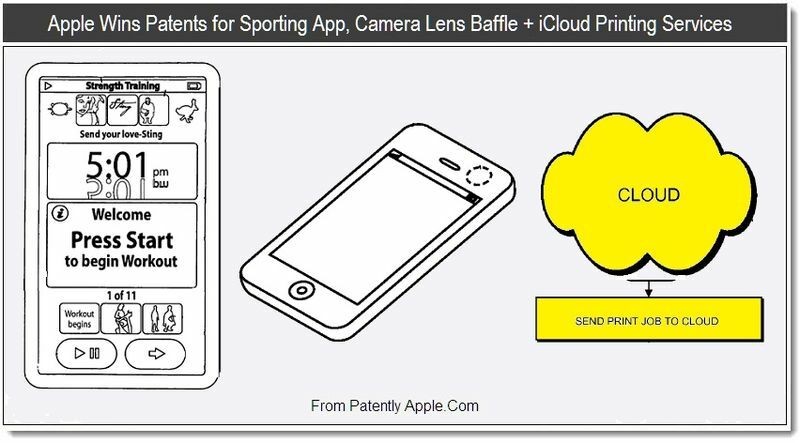 This is an Apple patent that describes the idea of Cloud printing. Just as you can currently "AirPrint" over wireless networks to your compatible printer, Cloud Printing would allow you to connect your printer to the Internet. It will probably use iCloud, and print to it using any iDevice, wherever it is in the world. Google has been pushing a similar offering lately, and while it hasn't taken off, this is without a doubt the future of printing, if printers even have a future. Last, but not least; Apple is thinking about improving the native iOS Map app, which really hasn't been improved since it launched in 2007. According to this latest patent filing, unearthed by Jack Purcher, Apple is thinking of supercharging the app with augmented reality, thanks mostly to the compass. Basically, while there are some jerky apps out there to do some augmented reality and find places of interest, they usually don't address getting you there well enough. That's what Apple seems to be thinking about for Maps; helping you find and get to places by superimposing directions on the real world. Check it out: As usual, these are just patent filings and if history is any indication, most of them will unfortunately never come to life. Yet, it gives you an idea of what Apple is thinking, and who knows, some might actually happen eventually.